After having been reestablished in May 2012, the Strike Fighter Squadron (VFA) 101 was officially reconstituted on Oct. 1, 2013 when the rollout ceremony for the delivery to the U.S. Navy of its first F-35C Lightning II was held at Eglin AFB by the 33rd Fighter Wing, the joint USAF – U.S. Navy – USMC F-35 training unit. With the delivery of the first F-35C, the Grim Reapers have become the Lightning II Fleet Replacement Squadron (FRS), a role already played in the past by the then Fighter Squadron (VF) 101 for iconic aircraft such as the F-4 Phantom and the F-14 Tomcat, before the squadron was disbanded in 2005. The origins of the Grim Reapers trace back after the battle of the Coral Sea, when they were formed as VF-10 by Jimmy Flatley, the legendary World War II naval aviator, who chose the Grim Reaper as the squadron name along with the slogan, “Mow em Down!”, that the unit practically did when the VF-10 pilots shot down many Japanese aircraft in the skies above the Solomon Islands with their Grumman F4F Wildcats. Flatley became the first Grim Reapers commanding officer and he began the squadron tradition in training fighter pilots when he taught the art of the aerial combat to its young pilots, among whom there were naval aviators such as Edward L. Feightner and Martin Carmody. Disestablished in 1945, the Grim Reapers were reactivated as VF-101 in 1952, flying several types of fighters such as the Vought F4U Corsair, the McDonnell F2H Banshee and the Douglas F4D Skyray before receiving the McDonnell Douglas F-4 Phantom in the 1960s. Even in its period as F-14 FRS the VF-101 couldn’t separate from the Flatley clan, as explained by Erik Hildebrandt in his book Anytime, Baby! 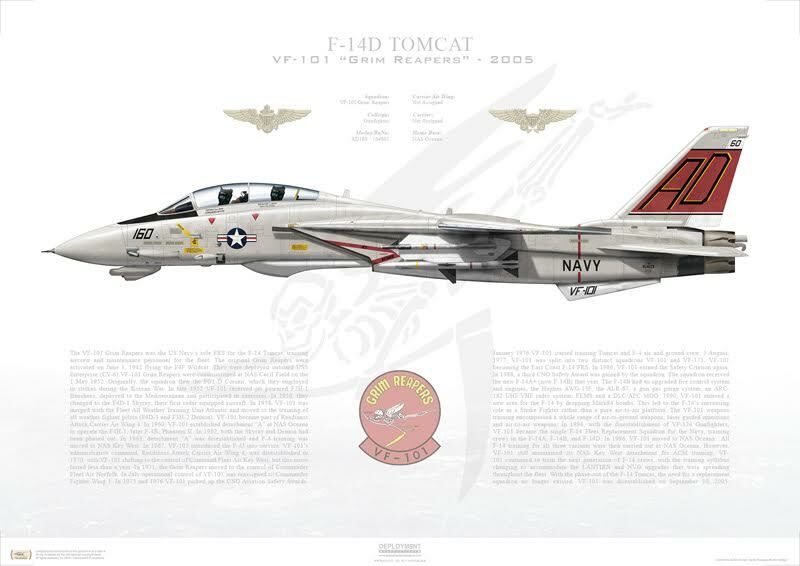 Hail and Farewell to the Last Navy F-14 Tomcats. 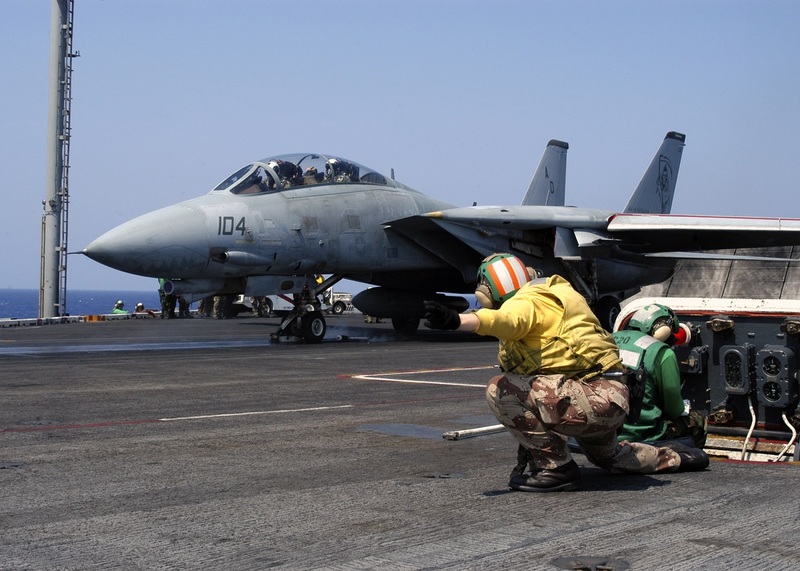 In fact James “Seamus” Flatley IV, who was trained by the Grim Reapers at NAS Oceana, was the VF-154 Commanding Officer when the Black Knights were deployed on board the USS Kitty Hawk (CV-63) to take part in Operation Iraqi Freedom during which the VF-154 detached five of its F-14A and five of its aircrews to Al Udeid air base, in Qatar, supporting the Special Operations. 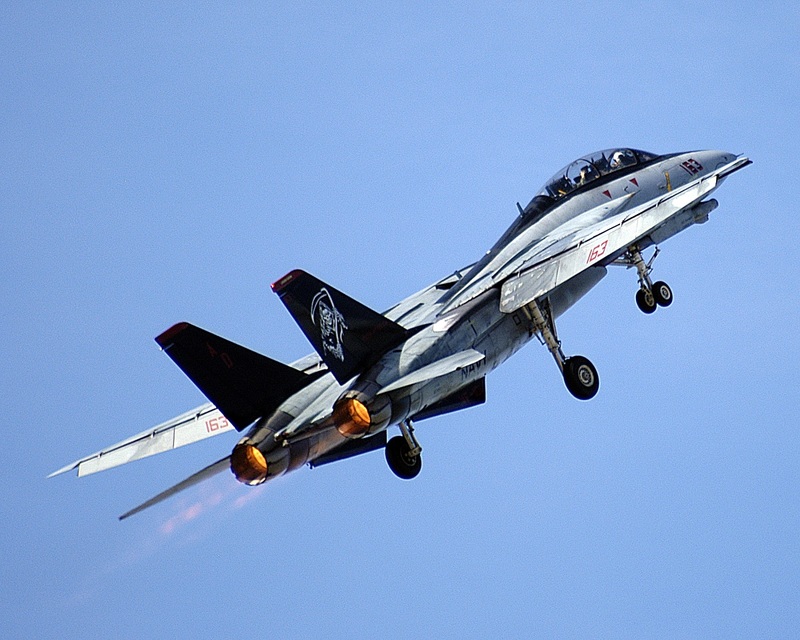 Since the unit wasn’t chosen to become the F/A-18E/F Super Hornet FRS (that in the meantime had already begun to replace the F-14), no more new Tomcat aircrews were needed and the VF-101 was closed in August 2005. The Flatley family was present to the Grim Reapers disbandment ceremony with James the 3rd , Seamus and Mrs. Flatley. They received the squadron flag for safekeeping the Grim Reapers traditions until May 2012, when the squadron was reconstituted to train a new generation of naval aviators. 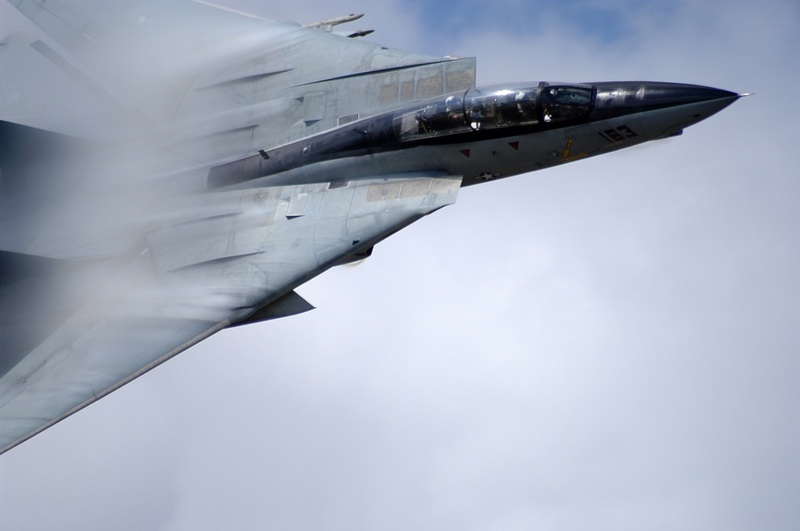 In the video below you can see the last F-14 Tomcat tactical demonstration performed at NAS Oceana Airshow 2005 by Lt. Jon “Rocco” Tangredi (pilot) and by Lt. Joe “Smokin’” Ruzicka (RIO).